Robert Blagojevich believes he was used as a pawn in the larger prosecution of his brother. And he blames former U.S. Attorney Patrick Fitzgerald for the entire episode. Blagojevich: The Government "Is Not Your Friend"
Robert Blagojevich has a message for his fellow citizens: be very wary of the government’s unchecked power. Blagojevich, of course, was charged along with his brother, Illinois Governor Rod Blagojevich, in a federal indictment in the spring of 2009. One year, and a million dollars in legal fees later, the elder Blagojevich walked out of the court house a free man. His brother, of course, would be re-tried, convicted, and sentenced to 14 years in prison. “If the Justice Department is about justice and doing what’s right in the name of justice, why play games with someone’s life?” Blagojevich asks. He says he firmly believes he was used as a pawn in the larger prosecution of his brother. And he blames then-U.S. Attorney Patrick Fitzgerald for the entire episode. Blagojevich was not his brother. 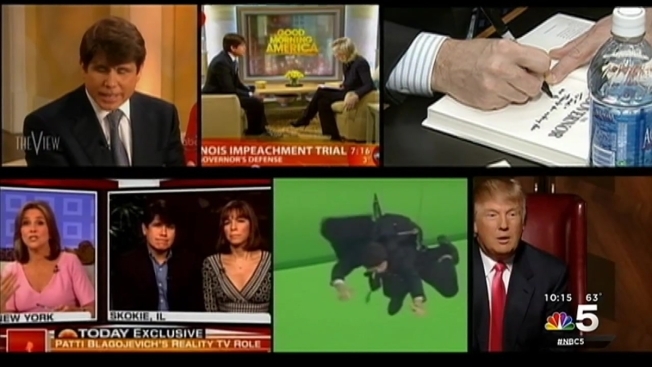 While the public was all too familiar with the zany antics of the Illinois governor who did everything from reading the Top Ten list on David Letterman, to sparring with Donald Trump on The Apprentice, the older Blagojevich was the polar opposite. Quiet, conservative, and Republican, he plunged into his defense with his attorneys. Wife Julie transcribed every one of the undercover recordings. While Rod Blagojevich was mugging for the cameras, Robert was preparing to go to trial. And Robert Blagojevich won. Most courtroom observers believed Blagojevich came across as stunningly truthful during hours on the witness stand, successfully parrying the questions of federal prosecutor Chris Niewoehner. The jury refused to convict him, and the feds chose not to try him again. But Robert Blagojevich becomes uneasy when asked about what makes his brother Rod tick, preferring to focus on what he says was an unjust prosecution of both brothers. And in his new book “Fundraiser A”, he insists, that had the jury heard all of the undercover tapes, they would never have sent the former governor to prison. Asked directly, if he believed there was ever a point where his brother crossed the line, Blagojevich did not hesitate. And he likewise, does not blame his brother for his own ordeal. Indeed, in terms of the infamous senate seat, Blagojevich says he only recalls his brother seriously entertaining two possibilities. Fitzgerald declined comment on Blagojevich’s criticisms. Today Robert Blagojevich has moved on. He beat the government, but the prosecution took its toll. His defense cost close to a million dollars. He and his wife were forced to mortgage their home, and their retirement savings were largely wiped out. A former army officer, who always prided himself on being fiercely patriotic, Blagojevich now counts himself as an independent who is wary of his government. And his brother Rod? Blagojevich has not heard from, or spoken to him. He attempted to visit the former governor once, in the fall of 2012, at the prison where he is housed in Englewood, Colorado. But he was informed that he was not on the approved visitor’s list, and was turned away.